What a miraculous discovery! 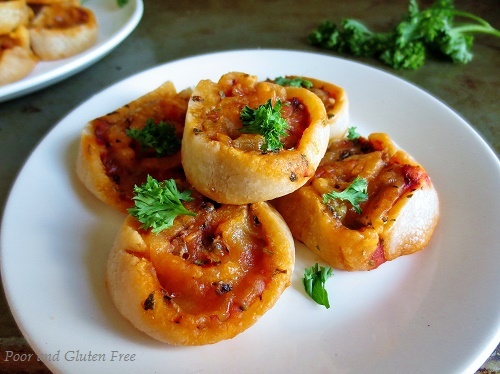 These gluten free pizza rolls were a complete fluke, and a total hit! This last minute attempt to use up leftover pie dough scraps turned into a recipe that I will use again and again. It's very easy and totally delicious. 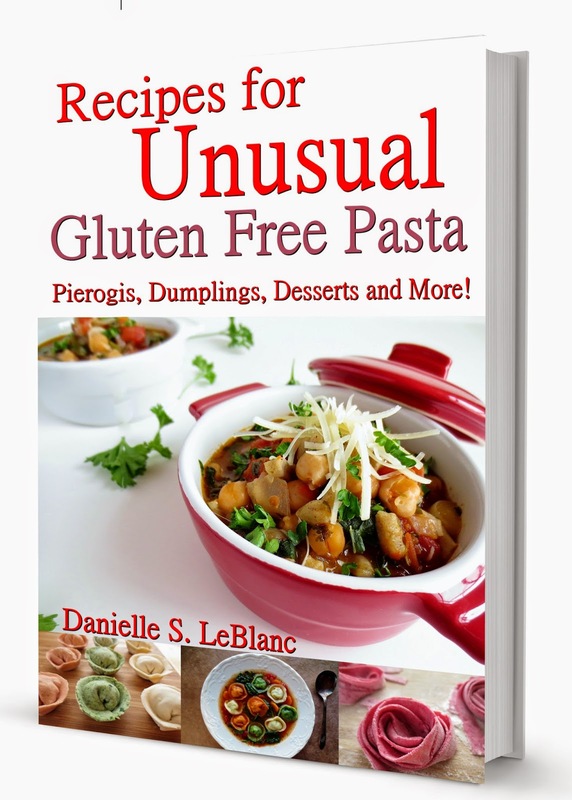 This weekend we had the in-laws over for dinner and I decided to make gluten free pot pie (the recipe for the pie is in my book, Living with Oral Allergy Syndrome but don't worry, the recipe for the crust is in the post below). I doubled the recipe and ended up with extra pie crust. Now normally when I end up with extra pie dough I make little tartlets, like these Miniature Gluten Free Chocolate Pudding Pies but as it happens I already have 16 tart shells in my freezer waiting to be made into something. So I thought, why not try an appie of some sort? 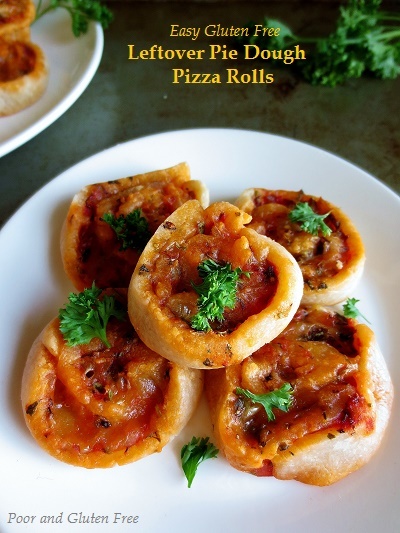 Well behold, friends, gluten free pie dough pizza rolls - an appie/snack that can be made very quickly, served as an appetizer or snack, taken to potlucks, and definitely shared with others! The measurements will vary based on whether you chose to use a full pie dough recipe, or are just rolling up scraps, so I'm going to give you the basic run-down and you can vary depending on your preference. For a vegan option: Use vegan butter or coconut oil in place of the butter in the pie crust recipe. 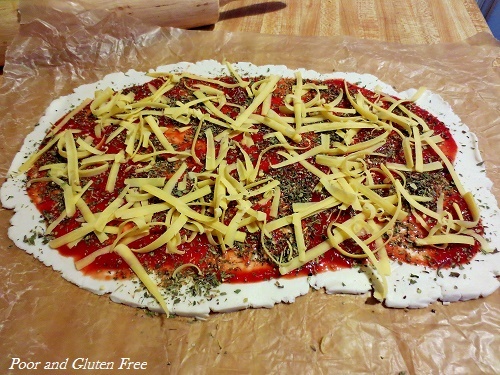 Use a vegan shredded cheese or nutritional yeast in place of the cheese. For a meat option: Add some finely shredded chicken or other meat. Other options: Add some finely chopped cooked spinach or shredded and drained zucchini to get extra veggies. Preheat oven to 375F and place parchment paper on a baking sheet. 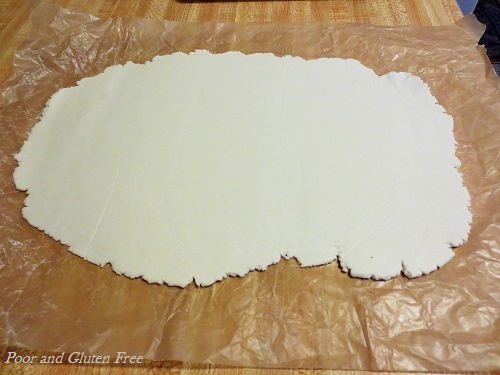 1) Roll out pie dough into a rectangle shape between two sheets of wax paper. 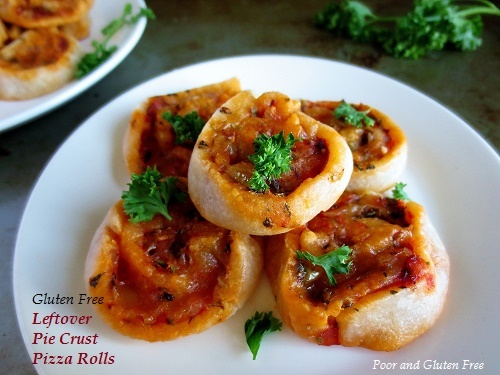 Periodically peel off wax paper and turn dough to make rolling easier and prevent sticking. 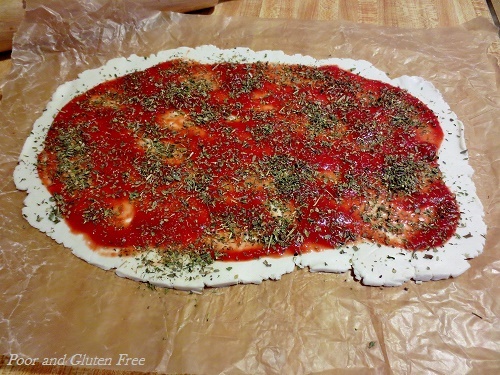 2) Spread a thin layer of tomato sauce over the dough. Sprinkle with Italian seasoning, shredded cheese, and other options as desired. 3) Lifting one long edge of the dough, roll dough into a tube. Slice into 1/2" rounds using a sharp, wet knife. Arrange on parchment paper on a baking sheet. Bake for 15 minutes, until dough is puffy and cheese is melted. 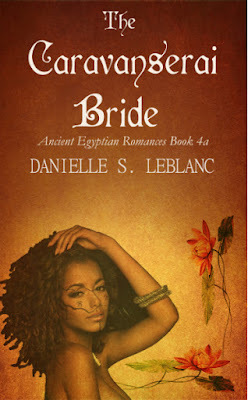 As for printing my recipes, yes, I'm sorry about that, blogger blogs don't provide us any options for a recipe format. What I suggest is to highlight the text, then copy and paste it into a Word (or other program) document. It should retain the formatting fairly well - if your default line spacing is double, you can again highlight the text and change the spacing to single, and you should get a simple clean document you can print.